Should marriage be “gender-less”? Or should marriage strictly be between a man and a woman? 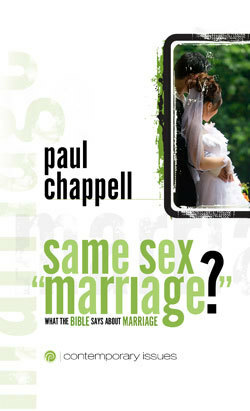 In these pages, Dr. Paul Chappell will help you understand what God says about marriage and why it matters. These pages will challenge your thinking, strengthen your own family, and equip you to make a difference in today’s culture where marriage is being attacked and redefined.